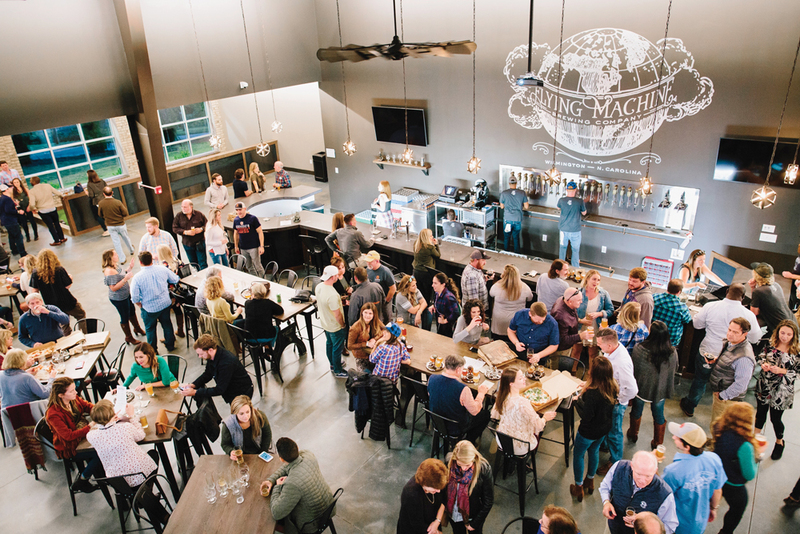 Located on Randall Parkway and adjacent to the Gary Shell Cross City Trail, Flying Machine Brewing Company hosts a unique venue and incorporates the diverse craft beer experience of the founding team. The almost 17,000-square-foot facility features a tap room with 22 draught lines, an inside gaming area, and a two-story outdoor patio space with an additional bar with 10 lines. The production team’s global brewing education and experience instills a passion and desire to produce beers that will embrace all palates. House cultures create an opportunity for guests to experience some truly yeast-driven beers. So, whether you enjoy new age beers, Old World styles, or releases from the barrel and sour program, FMBC has a beer for you. In addition to beer, FMBC boasts an espresso program with Counter Culture Coffee, a concentrated wine selection, and other alternative beverages. So, hop on your bikes, hit the Cross City Trail, and come experience Flying Machine Brewing Company.